Mobile game developer Bushi-go just release the first of 6 installments of The Agiliste. Your task is to be the AI that runs Claire’s glasline systems. You are the computer in her head. Claire Denali is a former spy. Her objective is to investigate the murder of an executive with her current employer, the industry-leading security company Coerdian. 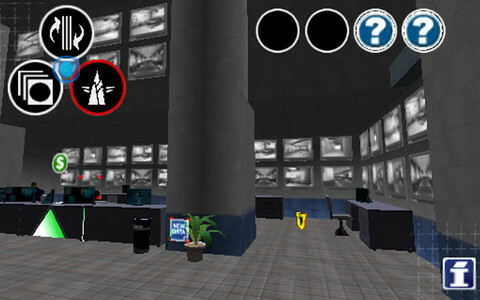 The is a point and click adventure game where you walk around getting clues while you interact. You will have to walk around and find clues and keys to enter different areas to solve this murder mystery. 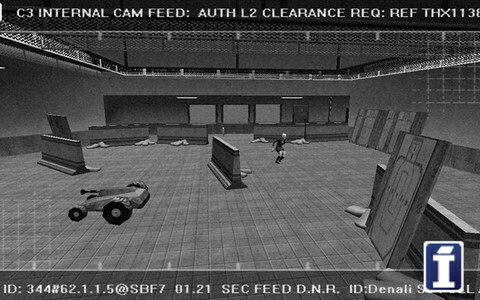 At the end of an episode you get to watch an action scene based on the objects (Pips) you choose. You can acquire a bunch of Pips, but can only interact with 3 at a time. The App has a retro look and feel to match the 1980’s cyberpunk theme of the story. If you are into adventure games you will want to check Agiliste out. Overall I would say that Agiliste is a very interesting game and worth checking out. The only issue I had was that some of the messages disappear before you could completely read them. Each episode will cost $0.99, with bonus content available as in-app purchases. The next update (October) will contain a new 5 minute video and a whole new level and set of puzzles.